The Bulgarian Chevening Association in cooperation with the British Embassy in Bulgaria and the BBBA is pleased to invite you to discussion on THE IMPACT OF BREXIT ON THE EU AND BULGARIA which will be held on June 19, 2018, opening: 9:30 am, at Sofia University “St. Kliment Ohridski”, Rectorate. The purpose of the discussion is to highlight the process of the United Kingdom and Northern Ireland’s leaving the EU. 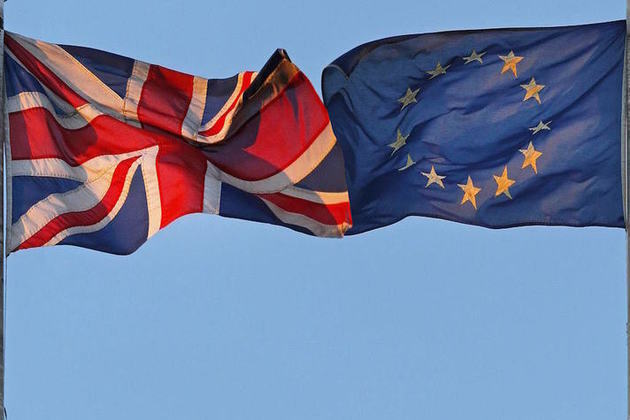 The theme Brexit has been of prime importance to the EU since the Prime Minister Theresa May enacted Article 50, committing the UK to leave the EU on March 29th 2019. The event aims to provide expert insight into the current state of the negotiations, discuss what the challenges and opportunities for the future economic relationship of the UK to the EU and Bulgaria will be, what will be the rights of EU including Bulgarian citizens in the UK, and how other key sectors will be impacted. The discussion will be attended by Mrs. Ekaterina Zaharieva, Deputy Prime Minister and Minister of Foreign Affairs of the Republic of Bulgaria, HE. Mrs. Emma Hopkins, Ambassador of the United Kingdom of Great Britain and Northern Ireland to Bulgaria, Mr. Ivaylo Kalfin, Special Adviser to European Commissioner for Budget and Human Resources Günther Oettinger, Mrs. Marinela Petrova, Deputy Minister of Finance of Bulgaria, Mr. Kalin Hristov, Deputy Governor of the Bulgarian National Bank, Assoc. Prof. Dr. Diana Kovacheva, Deputy Ombudsman of the Republic of Bulgaria, Prof. Dr. Nikolay Natov, Department of International Law and International Relations, Faculty of Law, Sofia University St. Kliment Ohridski, representatives of the business and etc. Registration: To book your place click on the “register now” or send an email to chevening.bg.events@gmail.com. The event is free of charge upon invitation. Registration is open until 17.06.2018. Expenses (travel, accommodation): all expenses shall be covered by participants. The Bulgarian Chevening Association unites alumni from leading UK universities of the Chevening programme of the British Government (http://www.chevening.org/). One of the main goals of our association is the organization of public debates, forums and meetings on socially significant topics. For any further queries regarding the discussion, please contact Mr. Ivaylo Kalfin and Ms. Roumiana Atanassova at chevening.bg@gmail.com. If you would like to sponsor the discussion, please contact us. The discussion will be in Bulgarian. Translation in English will be provided. Mr. Ivaylo Kalfin, Bulgarian Chevening Association, Special Adviser to European Commissioner for Budget and Human Resources Günther Oettinger. Prof. Dr. Sasho Penov, Dean of the Faculty of Law at Sofia University St. Kliment Ohridski (TBC). Participants in the discussion: HE. Mrs. Ekaterina Zaharieva, Deputy Prime Minister and Minister of Foreign Affairs of the Republic of Bulgaria and H.P. Ms. Emma Hopkins, Ambassador of the United Kingdom of Great Britain and Northern Ireland to Bulgaria. Participants in the discussion: Mrs. Marinela Petrova, Deputy Minister of Finance of the Republic of Bulgaria, Mr. Kalin Hristov, Deputy Governor of the Bulgarian National Bank, Mr. Julian Voinov, Member of the Managing Board of BCA, Mrs. Sofia Kassidova, former Deputy Minister of Economy, Mrs. Roumiana Atanasova, Chair of the Managing Board of BCA, Julian Mihov, Director PricewaterhouseCoopers. Legal aspects – Participants in the discussion: Prof. Dr. Nikolay Natov, Dr. Dafina Sarbinova – Faculty of Law, Sofia University “St. Kliment Ohridski” and Assoc. Prof. Diana Kovacheva, Deputy Ombudsman of the Republic of Bulgaria. Participants in the discussion: Ms. Zornitsa Rusinova, Minister of Labour and Social Policy of the Republic of Bulgaria (video material), Mr. Vassil Assenov, Second Secretary, Social and Labor Affairs at the Embassy of the Republic of Bulgaria in the United Kingdom of Great Britain and Northern Ireland, Representative of the British Embassy in Bulgaria and Lyubov Kostova , Director of the British Council in Bulgaria. 12:15-12:30 – Closing remarks – Mr. Ivaylo Kalfin, BCA, Special Adviser to European Commissioner for Budget and Human Resources Günther Oettinger. The event is part of the work program of the Bulgarian Chewing Association and is supported by the Embassy of the United Kingdom of Great Britain and Northern Ireland in the Republic of Bulgaria, the Faculty of Law of the Sofia University St. Kliment Ohridski and the British-Bulgarian Business Association.